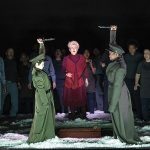 Home / LIFESTYLE / REVIEWS > / THEATRE REVIEWS / Where is Jack the Ripper? 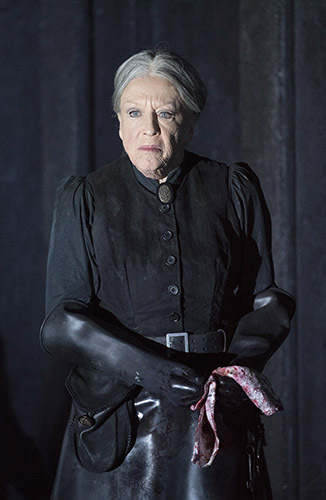 Robert Tanitch reviews ENO’s Jack the Ripper: The Women of Whitechapel at London Coliseum. Jack the Ripper was active in and around the slums of Whitechapel in 1888. He got his nickname because of the horrendous nature of the murders. The disturbing details of the autopsies are not for the faint-hearted. It was the newspapers and the Penny Dread Fulls which gave the serial killer the publicity and notoriety which continues to this day. There has been a lot of historical research. There were well over 100 suspects and we still do not know who did it. There has been a lot of fiction. There have been many film versions, too. One of the most famous is Alfred Hitchcock’s The Lodger with Ivor Novello. Jack has been played by Klaus Kinski and Jack Palance. The only time I have seen Jack the Ripper on the operatic stage is in the last act of Alban Berg’s Lulu. Jack murders Lulu. The major surprise at ENO is that Jack the Ripper does not appear. Iain Bell’s opera is called Jack the Ripper solely for marketing purposes. The subtitle, The Women of Whitechapel, should have been the main title. 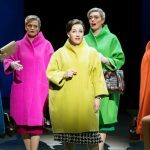 The impressive cast is headed by Natalya Romaniw, Josephine Barstow, Janis Kelley, Marie McLaughlin, Susan Bullock and Lesley Garrett. 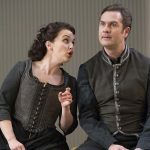 Iain Bell and his librettist, Emma Jenkins, have always wanted to tell the story from the point of view of the victims and to give they back their dignity. They are not interested in whodunit. The libretto, full of pain and rage, is based on the coroner’s court transcripts and from newspapers of the time. The major source comes from the polemics of the investigative journalist W T Stead. He wrote about the poverty, the slums, the brothels and the doss houses for Pall Mall Gazette. He also wrote a letter to Queen Victoria asking her to intervene. The poor were compelled to resort to prostitution to survive. They started work at four in the morning. They slept in dosshouses which often doubled as storerooms for undertakers. It cost four pence to sleep in a coffin, or tuppence to sleep standing. A grandmother (strong performance from Josephine Barstow) is prepared to sell her granddaughter, a mere child, into prostitution. The opera’s main story is about the girl’s mother (Natalya Romaniw, magnificent) wanting to end a family cycle of prostitution. 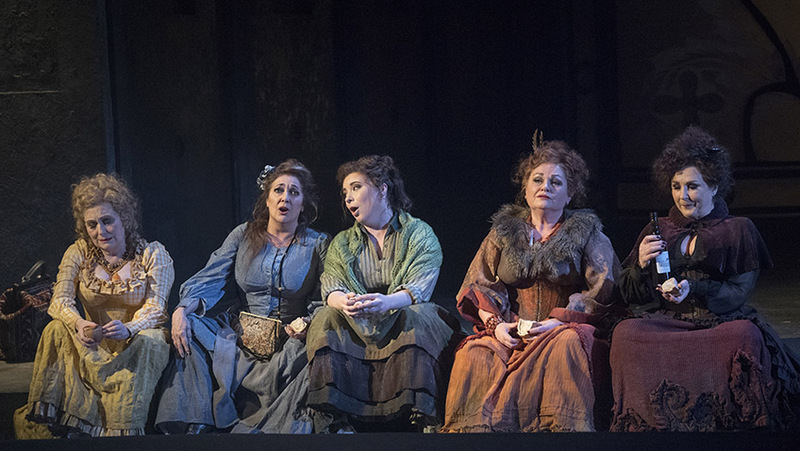 The Women of Whitechapel is conducted by Martyn Brabbins and directed by Daniel Kramer. The music and the singing of principals and chorus have a powerful impact.